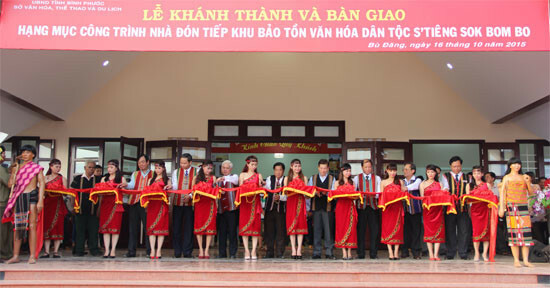 (CTTĐTBP) – In the evening of 16 Oct, at Bình Minh commune (Bù Đăng), the Provincial People’s Committee organized the first stage inauguration of S’tiêng Ethnic Sancturay at Bom Bo village and open the fourth Cultural and Sports Festival of the year 2015 for ethnic minorities in the province. 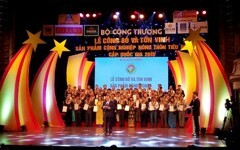 This Festival was telecasted live by Bình Phước Television. Representatives of Center, province and local carried out ritual of cutting the inauguration band. 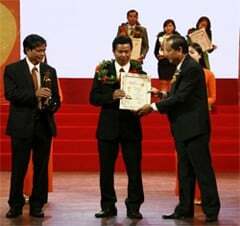 At the inauguration Celebration, former President and representative of Ministry of Culture – Sport and Tourism, leaders of Bù Đăng Commune cut the inauguration band in front of thousands of peple of the province. 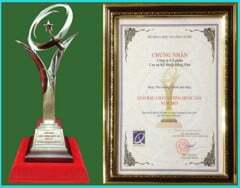 On this occasion, Provincial People’s Committee awarded certificates of merit for 5 units who sponsored and contributed for our project such as: Income Bank, Viettel Group, Liên Việt Bank, Him Lam JSC, Vietnam Social Insurance. 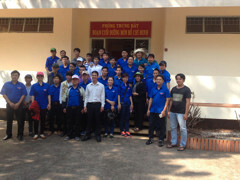 At the Inauguration Celebration, Mr. Nguyễn Huy Phong – Permanent Vice Chairman of the Provincal People’s Committee said that: the project of S’tiêng Ethinic Sanctuary has total area of 113,4 ha (70 ha of central zone and 43,4 ha of buffer zone) with estimated cost of 289 billions VND built on old Bom Bo village which has revoluntary tradition. The Sanctuary will reconstitute traditions, introduce custom and belief, preserve and promote cultural identity of S’tiêng Ethnic at Bom Bo village; make plan to attract inland and foreign tourists, contributes to develop tourism and service industry of the province. 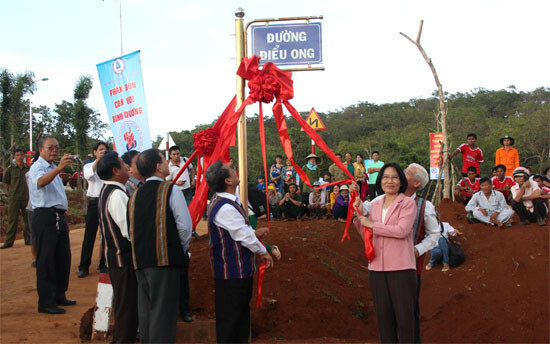 Former President Nguyễn Minh Triết, Provincial Deputy Secretary Nguyễn Tấn Hưng, Permanent Vice Chairman of Provincial People’s Committee Nguyễn Huy Phong carried out ritual of naming for street Điểu Ong. 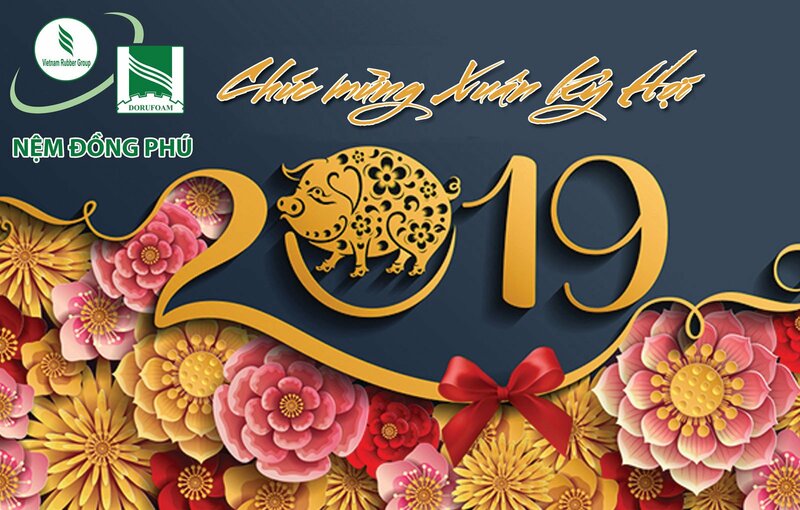 Until now, 2 traditional long houses (172,2 m2/house) of Sanctuary has been used in order to reconstitute traditional living space of S'Tiêng ethnic in Bình Phước; the project of Xuân Hồng Primary Schools consists of 4 classrooms, toilets, gate and fence system, garden school-yard; 1,2 km of internal traffic and 968,7 km of spindle roads, as well as lightening system for tourists; guest house with the area of 1.075 m2 and gate and fence system, gardens was put into use. Right after Inauguration Celebration, Organization Committee opened the fourth Cutural and Sports Festival of the year 2015. 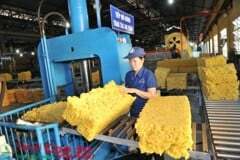 Athletes, actors and actresses, craftmen in the Festival are residents of Ethnic Minorities from the districts, towns and Boarding Schools for Ethnic in the province. All of them join performance, sport contests. In this Festival, they have chance to exchange, study from each other, promote consolidarity of ethnic groups who live in the province. 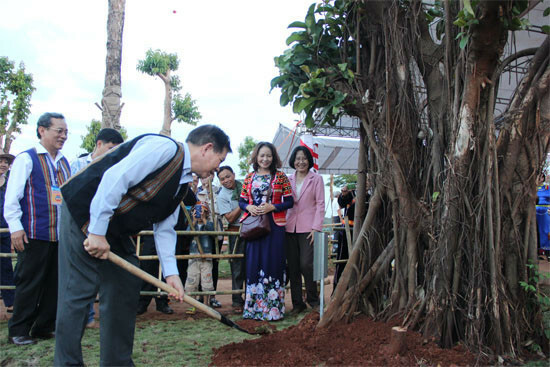 Former President Nguyễn Minh Triết planting tree as a keepsake at Festival court. Before 15 Oct, the Provincial People’s Committee hold a Street Naming Ceremony at the Sanctuary, inaugurate interal road of the Sanctuary. The first route was named as Điểu Ong (Điểu Ong is both hero of armed forces and revolutionary matyr). This is the main route of the project. The second route was name Xuân Hồng – late musician, which connects sightseeing places in the Sanctuary. 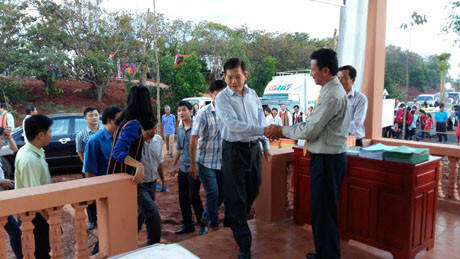 At the end of Inauguration of Bom Bo Ethnic Sanctuary, Mr. Đàm Duy Thảo – representative of DORUFOAM was honored to welcome Former Resident Nguyễn Minh Triết, representative of Ministry of Culture – Sport and Tourism, and representative of the province and Bù Đăng district. 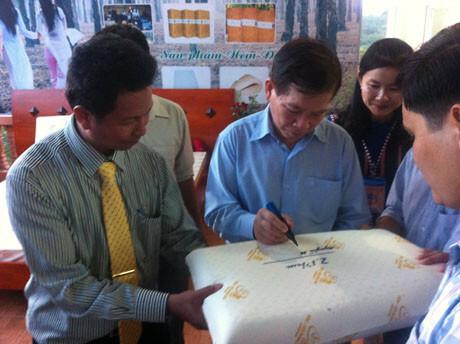 Former President Nguyễn Minh Triết signed for keepsake. 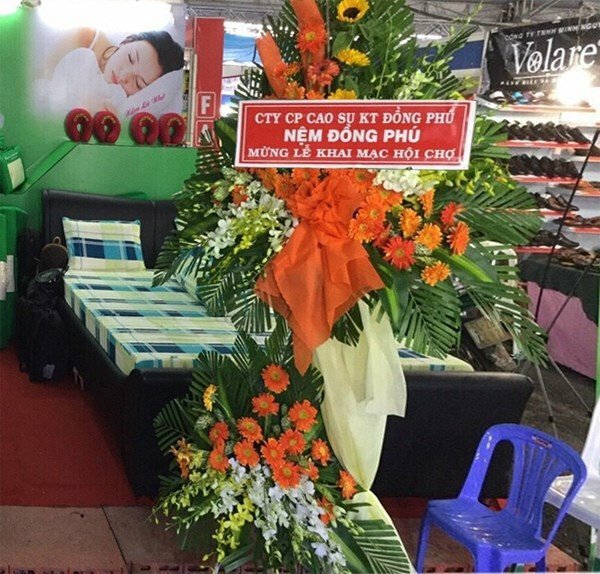 Former President Nguyễn Minh Triết autographed for a keepsake for our Company to encourage employees of rubber industry to promote advantages of this field and develop more and more in the future, reduce export of crude rubber latex and raise value of DORUFOAM Mattresses – Pillows.